Fire Prevention Week 2012 has come and gone. But, this year's highlighted fire safety theme is something that everyone, young & old, should do as well as needs to practice through the year. Always "Have Two Ways Out!" Can a fire happen in your home or where you work? Will you know what to do if a fire does happens? 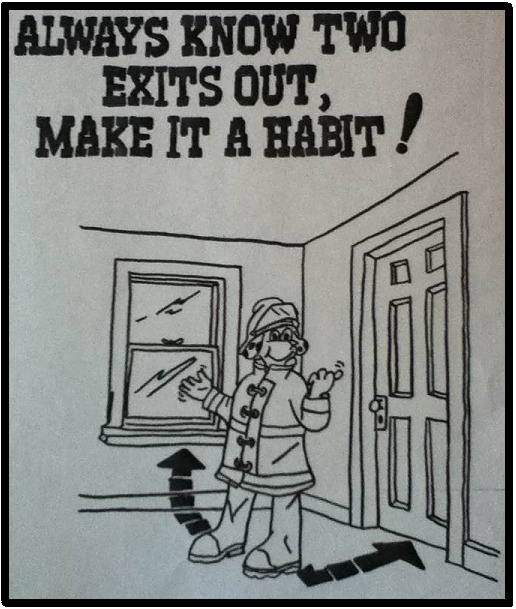 These are important questions to answer...a person or family member's life may depend on simply knowing and having two ways out when exiting a structure, be it your home, place of work, or where you shop when a fire occurs. Most people believe a fire won't happen to them in their homes and they don't plan ahead. Since fires usually give only three to four minutes to escape safely, not knowing what to do can be deadly. 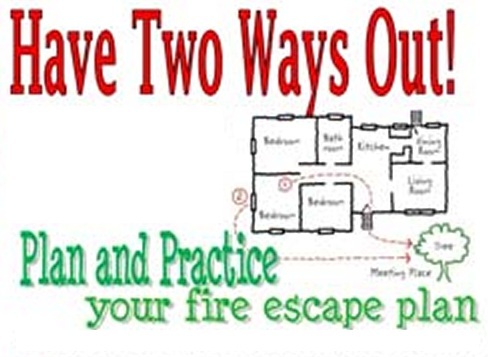 Prepare a Home Fire Escape Escape Plan and have the entire family practice it. - Plan two ways out of every room. Your normal exit may be blocked. - Test emergency exits. Make sure you can open windows and remove screens and storm windows. - Provide folding escape ladders from second story windows. Make them out of light rope or purchase metal ladders for escape. - Practice using emergency exits in the dark and always be safe when practicing. Keep a flashlight next to every bed. 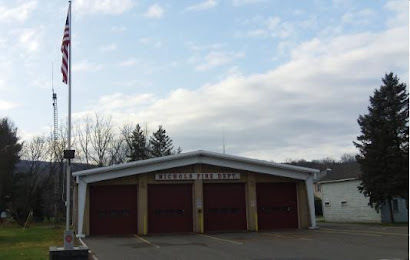 Most fatal home fire start at night, while we are asleep and least likely to respond quickly. - Install and maintain smoke detectors/smoke alarms on every level of the home. Test them monthly and change out the batteries twice a year. Once in the Spring and in the Fall. - Teach the family to stay low in smoke to avoid poisonous gases. Crawl to exits. Most fire deaths that do happen occur due to smoke inhalation. -Arrange a meeting place outside the home. Make sure everyone knows to get out quickly and go to the meeting place. 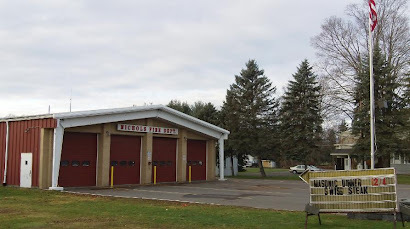 -Call the fire department from a neighbor's house. Do not wait in a burning building to use a phone. Get out and stay out if a fire is occurring in the home. Plan Your Escape - Have Two Ways Out! Be Fire Safe, Be Fire Wise, Learn Not To Burn!